The tapered design of our Hose Bend Restrictors reduces bending stress near the hose-coupling junction, thereby preventing damage and extending the life of the hose. The upper lip firmly attaches to the coupling, holding the restrictor in place and eliminating the need for expensive adhesives or clamps. Our durable Hose Bend Restrictors are designed to extend the life of numerous hydraulic and pressure-washer hoses. Does your product require a specific look or feel? 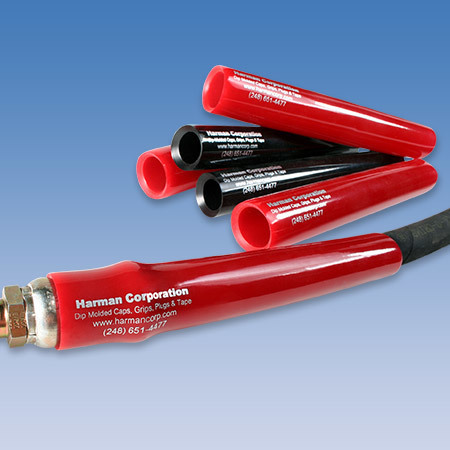 Harman Corp offers various high quality finishes on many of our products, including Non Phthalate Flexible PVC, High Gloss, Soft Texture, Matte and Double Dip. If your product needs a specific finishing solution, call our knowledgeable sales staff at 248-651-4477 for availability.